Have you given 6+ hold'em a go yet? If so you'll know this short-deck game - available on PokerStars right now - provides more action than the director of an Expendables film. 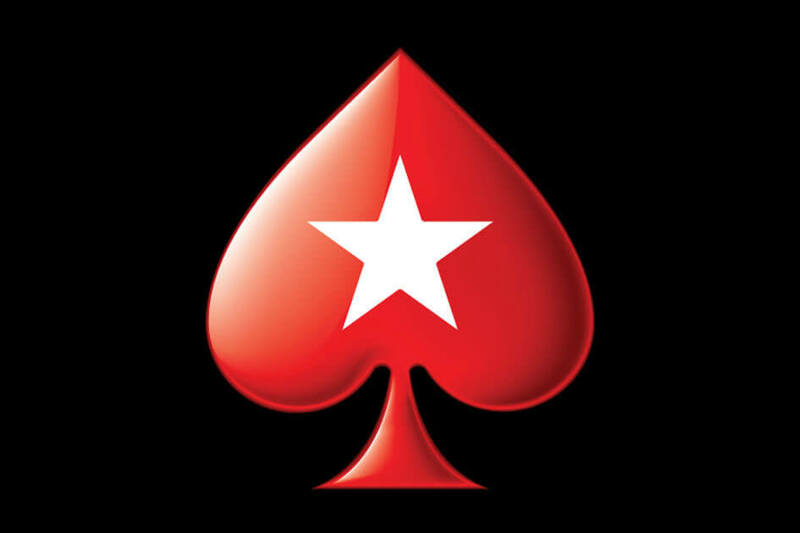 Yesterday our action stars were PokerStars Ambassadors Lex Veldhuis, Jaime Staples, Fintan Hand, Ben Spragg, Kevin Martin, plus Nick Walsh of OP-Poker, all of whom came together on the PokerStars Twitch channel for a multicam 6+ cash game stream. Not familiar with 6+ yet? Don't fret. We've already got some great content for you to catch up with. In a nutshell, 6+ is No Limit Hold'em (NLHE) with the twos, threes, fours and fives removed from the deck. That means there are a lot of changes in both individual hand strengths and hand rankings (a flush beats a full house, for example, as it's harder to hit one with four suited cards removed). We saw hand strengths come into question early on when Spraggy faced a big all-in decision versus Fintan. That meant Spraggy was the first one to bust and reload, much to everyone else's delight. "I just put it all in with ace-queen," Spraggy said afterwards. "We're learning as we go. Ace-queen? Bad hand." But if hands like ace-queen become less desirable in 6+, what kind of hands are you looking for? Just like in NLHE, the big pocket pairs (aces and kings, queens less so) are still very strong, while suited connectors (jack-ten, nine-ten etc.) become stronger than they are in NLHE due to higher likelihood of making straights. This pot showed Kevin Martin going for it with nine-ten suited in a three-way all-in. "We'll see a flop...should I be seeing flops here?" Things continued to go well for Martin. In this pot versus Fintan, we saw our first example of a flush beating a full house. "Yes! I made a flush in short-deck!" As the game went on we picked up some pearls of wisdom from arguably the player in this line-up who knows 6+ best, Lex Veldhuis. 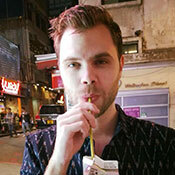 Lex has commentated on some of the biggest 6+ cash games in the world, and has learnt a few things over those 40+ hours. "Straight draws are amazing in this game," he told the group. "An open-ended straight draw will have 40 per cent against top pair." "This reminds me of an article I just read..."
Again, check out the article Nick is referring to here: Lex's Why I love 6+ Holdem. The big pots kept on coming, with the guys showing that moving all-in instead of three or four-betting seems to be the current standard play with strong hands. Spraggy began to make a comeback, doubling up in a straight over straight hand versus Nick. "How you like me now? Spraggy what?" He'd lose a little back in this hand versus Lex though. With a jack-high flop out there, Lex jammed for ten times the pot, and then explained the strategy behind it. Having doubled through Spraggy to get off to a great start, Fintan later saw his stack fall back below what he started with. In this hand he turned third pair into a bluff versus Jaime Staples, who held a flush. However, Staples still wasn't too excited about what was going on, causing Hand to go on a bit of a rant. Check it out. "Ahhh stop slowrolling me. FFS!" Another couple of takeaways we saw in this game were that folding pocket queens pre-flop seemed to be a common--and correct--play when facing aggression. Ten-jack suited versus pocket aces was also an interesting spot. "That's the classic all-in of this game," said Lex. "Yeah, that's the AK vs QQ of NLHE," added Spraggy. With just a minute of the stream still to go, the competition for who could end with the largest stack truly began. Lex led the way, but both Fintan and Kevin still had a good shot at overtaking him. Then this pot played out. "I did it! I have the biggest stack!" After a couple more hands, Kevin ended with around $460 while Lex wrapped up with $430. They were the two biggest winners from the stream. The session was super entertaining, and you can bet we'll have more 6+ streams coming your way soon on the PokerStars channel.